Seems like school just started a few weeks ago, and yet here is is almost Thanksgiving already! 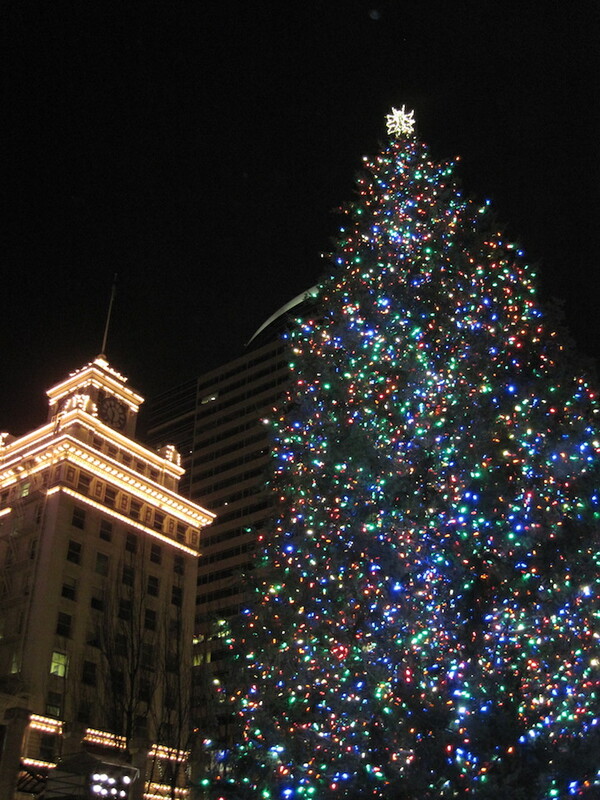 We’ve done some research on the Portland Holiday Happenings for 2015 and rounded them up for you here. Of course we can’t list them all, so If you can’t find what you’re looking for here, try the PDXPipeline or the Oregon Live Events Guide. There’s LOTS to choose from if you’re looking to celebrate! November 27th is the start of Portland’s holiday hubbub this year, starting with the Macy’s Parade at 9:00 a.m. and the tree lighting and caroling in Pioneer Courthouse Square at 5:30 p.m. This is always a festive event, even when it rains (almost always). Last year we watched from the rooftop bar at The Nines which was fun, too, but we kind of missed the singing. Winter Wonderland Thanksgiving-Dec. 27. This drive-through light show at Portland International Raceway is billed as the largest display of Christmas lights west of the Mississippi! 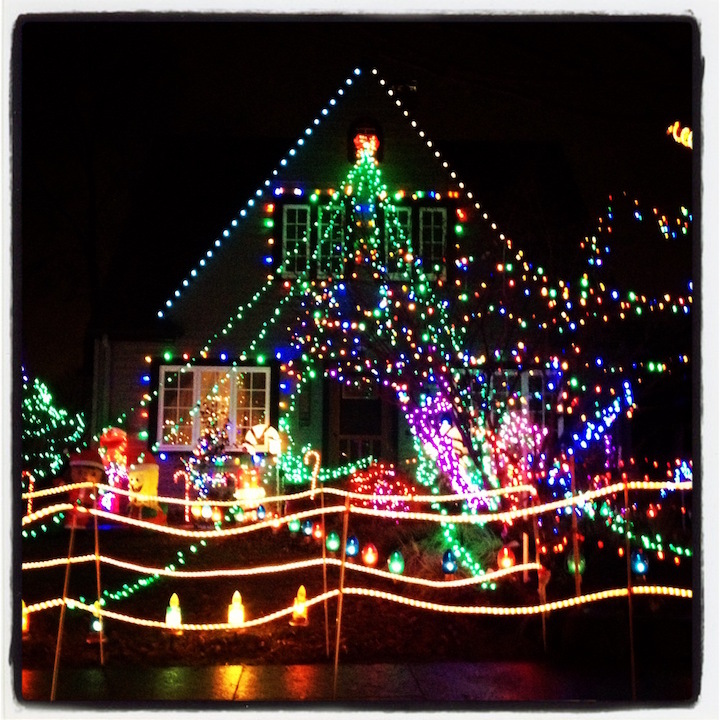 Christmas Festival of Lights Nov. 27-Dec. 30. Thousands and thousands of lights are strung through the Grotto’s beautiful grounds, making this a peaceful place to spend an evening. Carolers perform on most nights, too. Zoo Lights Nov. 27-Jan 3. All kinds of fun animal-themed light displays decorate the Oregon Zoo. Not sure how the animals feel about it, but it’s a patron favorite! Christmas Ships Dec. 4-20. With two rivers running through town, we’ve got lots of people with boats, and they like to celebrate in style. You can watch from the river’s edge or go to one of the many restaurants on the river for a warmer viewing spot. Christmas in the Garden Nov. 27 – Jan 3. Light festival and German marketplace at the Oregon Garden. PLUS, they have an outdoor ice rink!! If you’ve been longing to skate outdoors ever since Lloyd Center put that darn roof on, here’s your chance. We visited the Oregon Garden this fall, and it is a beautiful spot. Portland Menorah Lighting Dec. 6 – 13. The annual lighting of the Portland Menorah, in downtown’s Director Park. A Christmas Carol Portland Playhouse, Dec. 2-24. I’ve seen it so many times, and I still want to go this year. The classic Christmas tale IMHO. Twist Your Dickens Portland Center Stage, Dec. 9-31. Everyone raves about how hilarious this improv show is. We might need to see this, too! 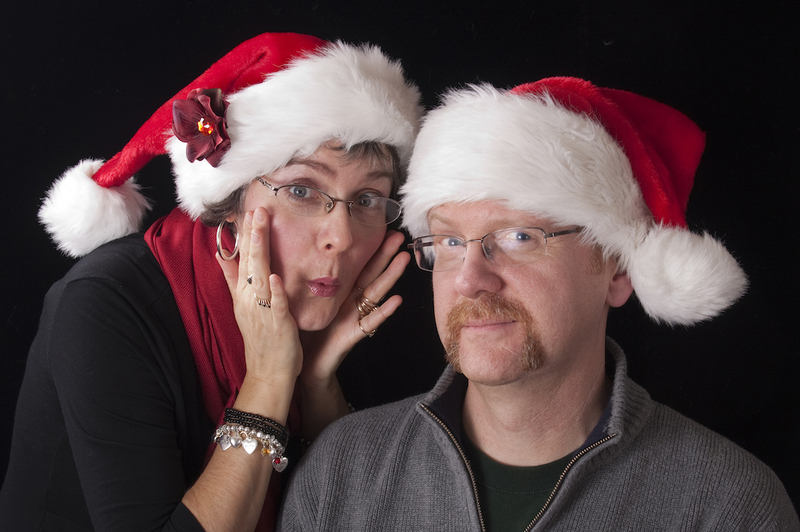 The Santaland Diaries Portland Center Stage, Dec. 2-27. David Sedaris. Nothing else needs to be said. If you haven’t seen it, make this the year. A Taffeta Christmas Broadway Rose Theater, Nov. 25 – Dec. 20. Featuring new holiday songs and old classics. The Nutcracker Oregon Ballet Theater, Dec. 12-26. A holiday classic. Singing Christmas Tree New Hope Auditorium, six performances between Nov. 28 and Dec. 6th. Get your tickets soon for this one if you’re hoping to see the world’s largest living Christmas tree. 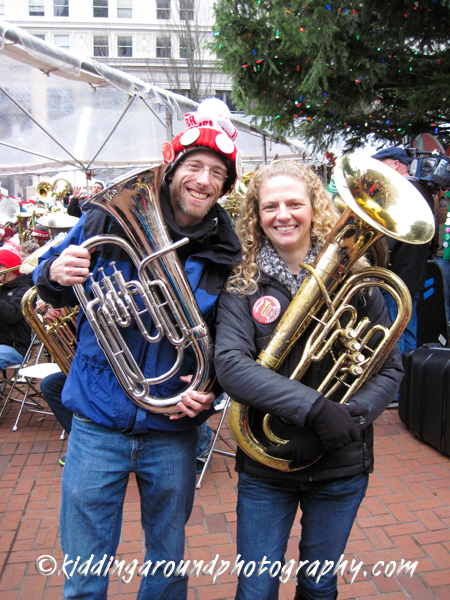 Tuba Christmas Pioneer Courthouse Square, December 12th. It starts at 1:30 p.m., but get there early if you want to sit down. Really early. If you haven’t been before, you should really check it out. Many other cities have them as well. We’ve even been to one in Punta Gorda, Florida! Three community groups are getting together to put on a Kwanzaa Karamu, a feast and community celebration, on December 11th. The event will be held at the PCC Cascade campus. Tickets are free but must be ordered in advance. There’s a pickled herring contest going on Dec. 5-6 at the Coliseum during the annual Scandinavian festival, ScanFair. I’m betting they have some yummier Scandinavian treats available as well, and you can even get your photo taken with the Finnish Santa Claus! Finally, it just wouldn’t be Portland without a beer festival, and the folks sponsoring the Holiday Ale Festival will be ready to get December off to a great start in a giant tent at Pioneer Courthouse Square December 2-6. This is a great resource! Thanks.